A job vacancy has arisen at a popular Donegal dental practice. 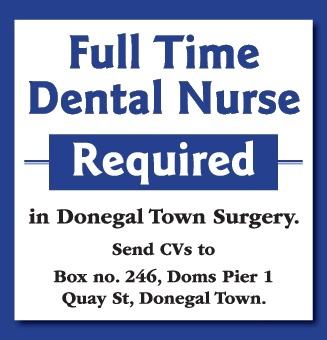 The surgery in Donegal Town is seeking a full-time dental nurse. Those wishing to apply are asked to send a CV to Box No. 246, Dom's Pier 1, Quay Street, Donegal Town.